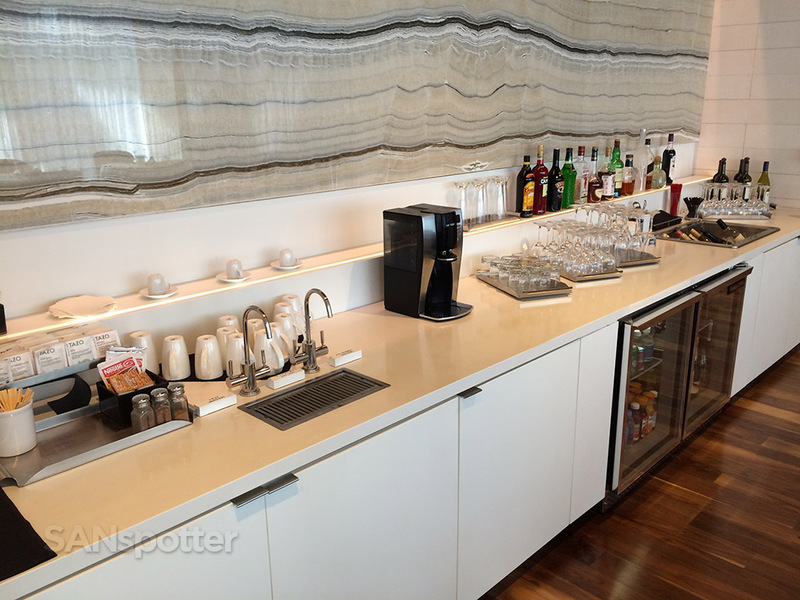 I’ve never been to any airline lounge at LAX, so I was especially excited to check out the new Star Alliance lounges here now that the Tom Bradley International Terminal has been completely renovated. I’ve heard nothing but raving reviews of this new terminal, so I was very much looking forward to check it out for myself. 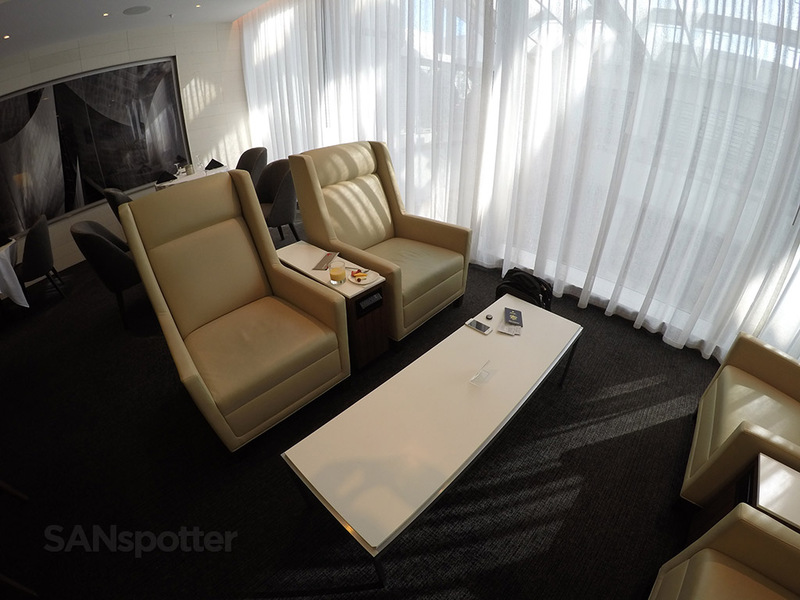 The Star Alliance First Class Lounge is located on the 6th floor, via elevator access located near the center of the terminal. 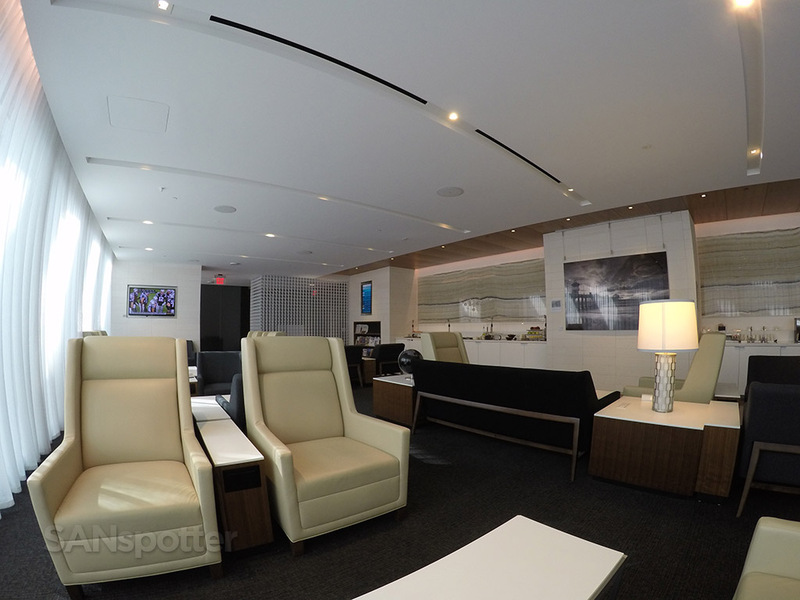 Upon exiting the elevator, there are two doors – the one on the left is the business class lounge, and the one on the right is the first class lounge. 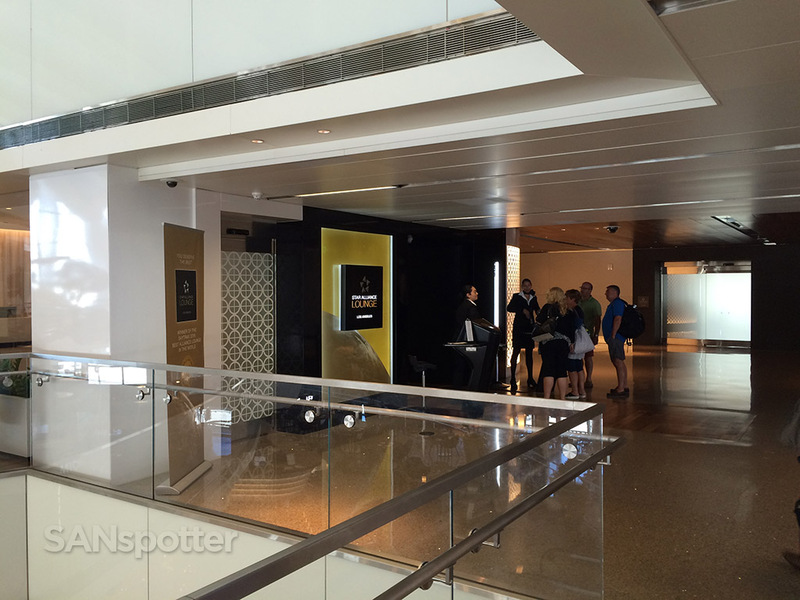 To be honest I didn’t even notice the difference – there was a greeter standing at the entrance of the business class lounge, so I handed her my boarding pass and she personally escorted me to the first class lounge (which didn’t have a greeter at that time of day). Once inside, I immediately felt how small and intimate it was. I hate to admit it, but “this is it?” was the first thing that popped into my head. It was certainly nice, and very secluded and quiet. But it seemed very dark and closed-in, offering no views to the outside world. It looked good though. In addition to the comfortable lounge area, there was a dining room set up for those who wished to order something off the menu. I never saw the menu, and nobody offered one to me – but as the lounge filled up the staff became proactive and quickly asked other patrons if they would like to order anything. There were several self-serve options as well, with a decently stocked snack bar on the left and a full open beverage bar on the right. 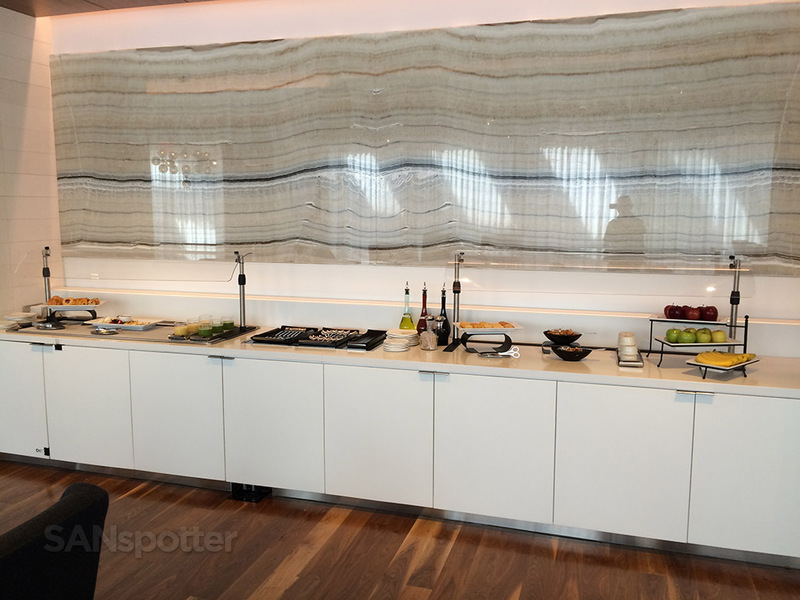 In addition to that, hot food items were available in the Business Class Lounge via doorway access on the north side. 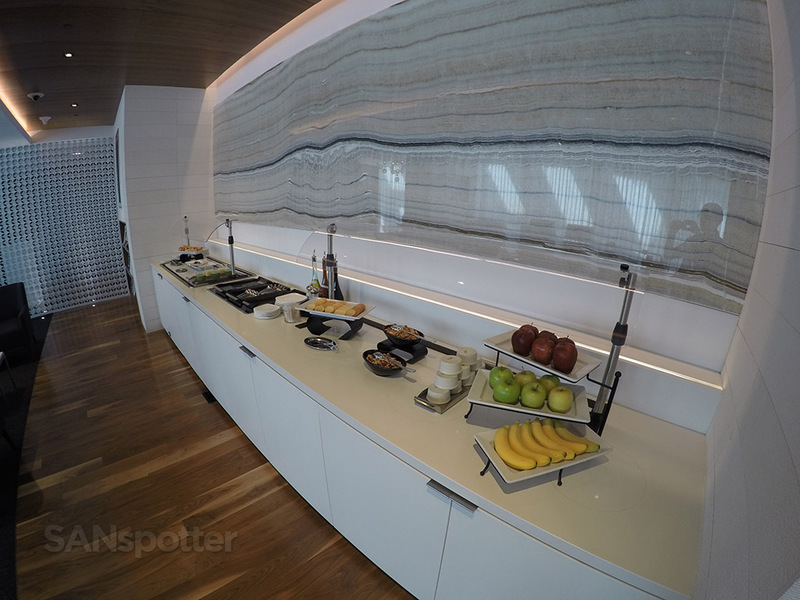 A wide angle view of the snack bar, showing all that there is to offer. 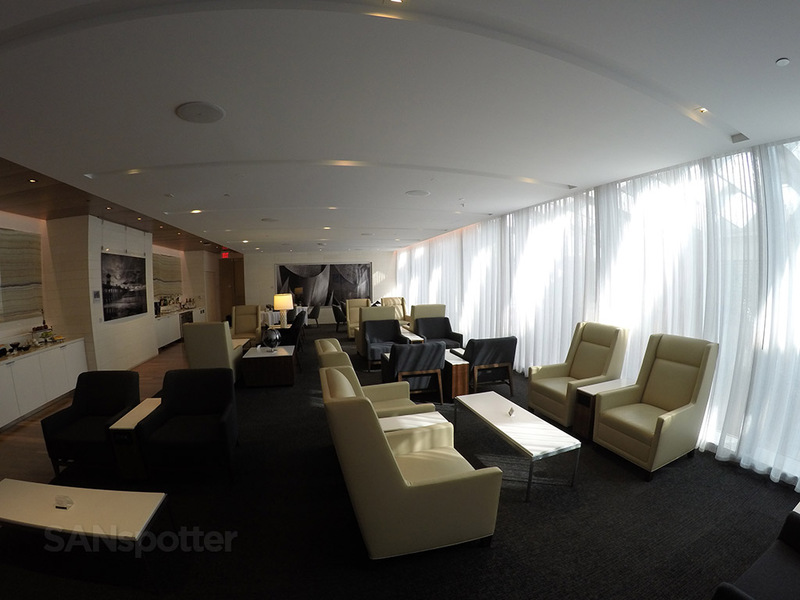 Not much here – if you want hot food, you have to trek on over to the business class lounge. 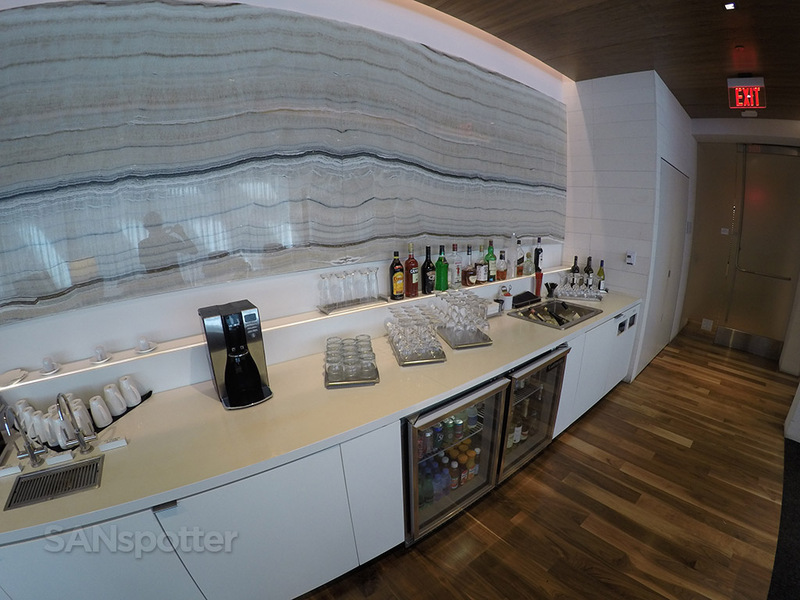 Wide angle view of the beverage bar, which seemed to be better stocked than the snack bar. My throne. Although this was a nice and quiet space to sit and relax, views to the outside world would have been nice. 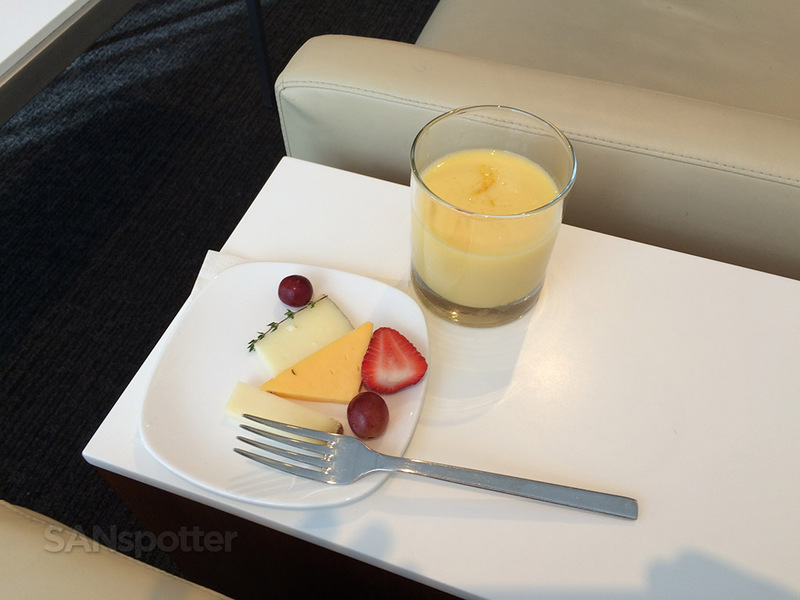 Just a light snack during my time here – I needed to save room for what would be served in Asiana first class! The bathroom seemed a bit stale, IMHO. I’ve seen much nicer than this in many other business class lounges. 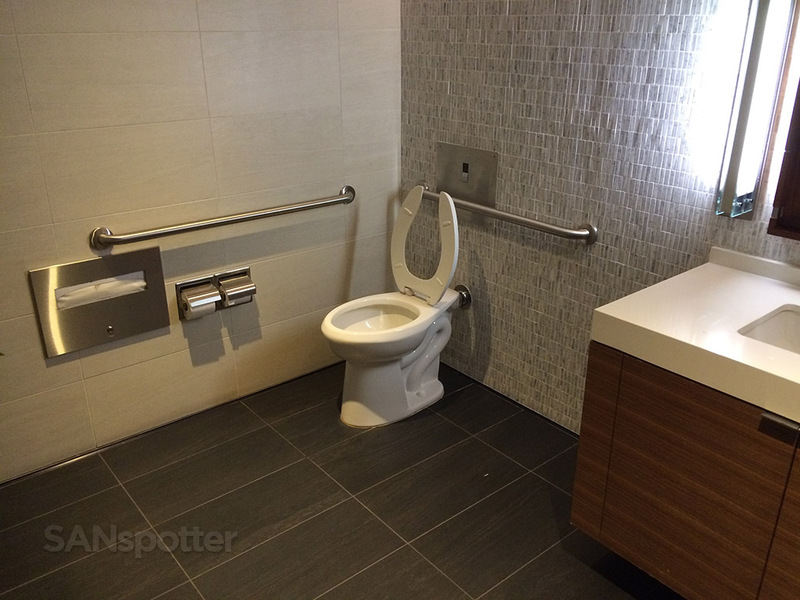 Spacious – but not a place where you’d want to spend lots of time (maybe that was their intent – lol). 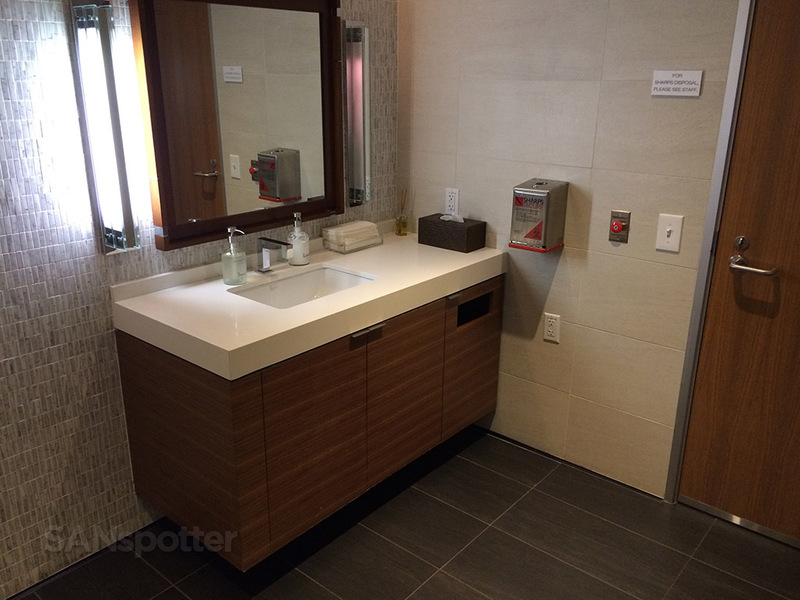 All in all, I thought the LAX Star Alliance First Class Lounge was a very nice and comfortable place to kill a few hours before a long flight. 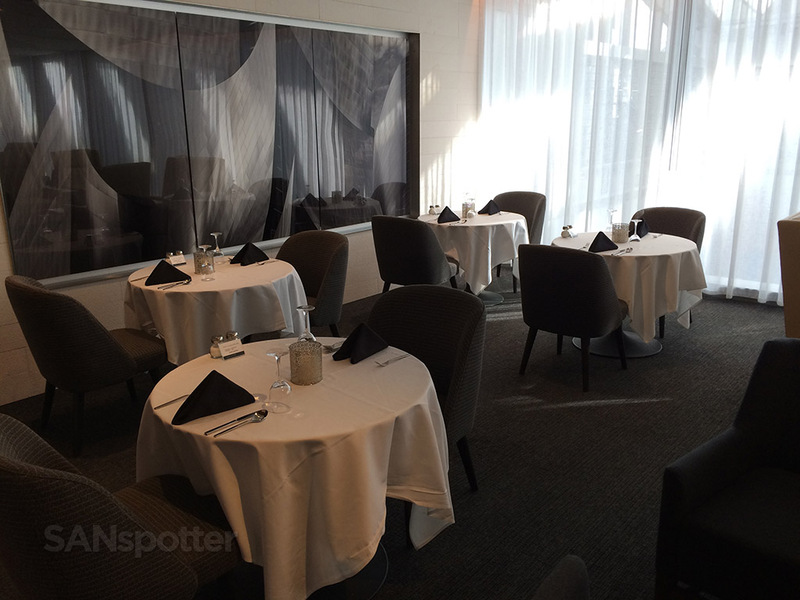 Snacks were plentiful, the seating was comfortable, and the staff was pleasant. But the lack of windows made it feel somewhat claustrophobic and dark. Yes, there are windows in this lounge, but they offer nothing in terms of a view – it’s essentially a view into a dark courtyard with skylights. However, if peace and quiet is important to you, this lounge is tops when it comes to that.